Due to being raised by a musically talented stepfamily, Plaga was inclined to do music to avoid the realities of drugs and violence. Those events placed his father (from Camaguey Cuba) on Americas Most Wanted and eventually leading him to a life sentence in prison for conspiracy (Heroin/Cocaine/Murder). With that event taken place, the crack era was in full effect in Jo Johnston (Nashville) which his mother and stepfather were heavy users, which turned their project building to a crack house. This situation later just introduced their home to an ATF major bust. Due to those various happenings, Plaga was introduced to his stepfamily, where he discovered his uncles passion for music. With his uncle being a dj and a leader of a band, the interest and the love for music only grew part of Plaga. Besides the oldies, Plagas influences started with NWA, Scarface, UGK, BIG, Outkast, Too Short, 2Pac, 8Ball & MJG, Chief Rocka, Master P, Rakim, Dr Dre, Snoop Dogg, Ice Cube, EPMD,etc. With those influences Plaga used to record his favorite records on his tape deck from the radio station, which influenced him to later do research on mixtape djs and their accomplishments. He then discovered his influences from djs; Dj Clue, Dj Envy, Dj Kayslay, Funkmaster Flex, Dj Kid Capri, Dj Premier, Jam Master Jay, Dj Michael Watts, Dj Jelly, Dj Squeeky, Dj Drama etc as he grew a love for the mix tape industry. He wanted recreate the accomplishments of his influences as he searched for talent during his years in college. At MTSU, Plaga (formerly Dj Cassius Royaal), was rocking parties, special events, clubs, house parties etc. Plaga also brought cyphers to life, gathering aspiring artists from other cities and campuses. While seeking for talent, Plaga bumped into Southside Jamaican Queens artist named Ha Himself (formerly Burn), in which he joined him and they recruited artists and members of Firehouse records in 2002. As time progressed, the label changed the name of the label to Opium Den Music and their target market. The new focus was to get the Nashville market and to change the culture of the city. El Plaga then assisted Ha in the process of making Kingz Honor, which was the start of the series thats gained the majority of the fan base. They recorded the Kingz Honor album in the prestigious RCA’s Studio B (where famous country artists such as Roy Acuff, Chet Atkins etc) on Music Row. Ha then received a great deal of feedback from major execs in the industry at the Florida Music Conference Ha attended in 2009. From then on the duo went on a tour to gain the audience in the local region. In 2009, the duo performed in shows all over the state, which really grasped the city by its ears. As the anticipation built up, Ha Himself and El Plaga decided to drop KH2, which earned him 2010 NIMA Hip Hop Artist of the Year and 2010 NIMA Hip Hop Album of the Year (Runner Up). From 2009 thru 2010, they performed in over 300 shows including doing shows with Def Jam recording artist Big KRIT and GOOD Music Writer/Poet/Artist Malik Yusef. The exposure never blinded Plaga and Ha from their visions of building a roster around them. In late 2010, El Plaga moved to Memphis to pursue artists out of the mid south region and also to brand the movement and establish himself as a dj and graphics designer. 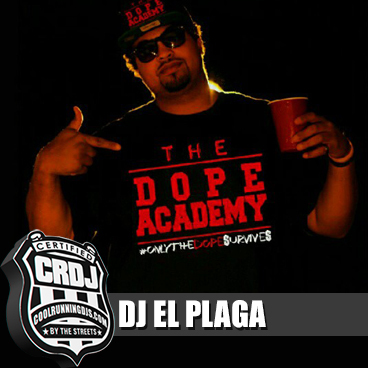 By March 2011 DJ El Plaga was awarded with DJ Of The Month for March by BTM. With a knack for breaking independent artists El Plaga linked up with PBZ, LP Schwayze, Traphouse Studios, Cerioso, Dolla Bois (Frayser Boy artists), Zed Zilla, Don Trip, Frayser Boy, Project Pat and more. With his networking capabilities, Plaga managed to be known as one of the biggest mixtape djs in the market. “I’ve always rather build an artist from scratch like Organize Noise did with Outkast”, Plaga says as he collabed with Cerioso (an upcoming Memphis artist) when he and I-20 (of DTP) hosted “This Is Not A Mixtape”. With that mixtape and his hard work, Plaga gained the respect as one of the best DJs to be reckoned with. As El Plaga continued working his magic in Memphis, he bumped into DJ Bay (A&R for Selecto Hits), whom cosigned him along with Mad Dog (former director of Coast 2 Coast DJs) to be an Coast 2 Coast dj. After earning the validation, Plaga went harder, rocking more events in town and out of town. With his mixtape series, Audio Dope, Plaga gained the attraction of mainstream artists such as Big KRIT, Tito Lopez, Maino, Cash Out, Future, Waka Flocka, Eldorado Red,Lupe Fiasco, Rick Ross, Bang em Smurf, Calico Jonez, Masspike Miles, Young Breed, Stuey Rock and more to establish his brand. He then became the one stop shop as artists would go to him for mixtape hostings, graphics, promotion and marketing strategies. As his buzz grew, he still had to make sure his tasks at Opium Den was still fulfilled.The label then dropped Kingz Honor 3, showcasing their upcoming talent from the Nashville area with artists Thicklin, Miss Mama Queen and Yung Yella (Producer/artist) as the project gathered over 20,000 views and over 10,000 downloads. With his efforts, Plaga established himself as the coceo of Opium Den Music.By summer 2011, DJ Bay, DJ Grady, DJ C Rich and himself present Ha Himself Reign Of Royalty series, which made placement on more than 100 urban media sites, making the movement even more relevant. The label then linked up with DC The Prez (artists/ceo from OKC) at Musikhead and combined the two labels, to extend their marketing areas, renaming the label to Opium Den/Musikhead Group.